REGISTRATION EXTENDED TO MONDAY 15 OCTOBER - Register online today or download the printable registration form here. A QTU conference for principals, heads of school, heads of campus, DPs, HODs, HOCs, HOSES, guidance officers and aspiring leaders. In a fast-changing educational landscape, knowledge is everything for today’s school leader. “ United in Professionalism” will provide school leaders with a deeper understanding of current issues, as well as update them on the latest developments at the state and national levels. Registration now extended to 15 October! Fee does not include travel and accommodation expenses, which are to be met by the delegate. Full refund prior to Friday 15 October 2018, non-refundable after 15 October 2018. Login to myQTU to register under "my courses, conferences and events"
Changing Direction: How Australian education policy is taking us backwards, and what can be done about it. 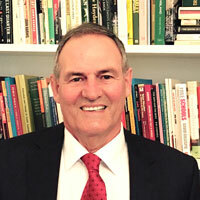 Alan Reid is Professor Emeritus of Education at the University of South Australia. A passionate supporter of public education, he has held numerous leadership positions in education, and been a key figure in some significant policy developments at state and national levels. Alan publishes widely in such areas as curriculum and education policy. He currently chairs the Public Education Advisory Committee in South Australia. His contributions to education have been recognised through a number of awards, including the Gold Medal of the Australian Council of Educational Leaders (ACEL). On Australia Day, 2012, he was made a Member of the Order of Australia (AM); and was named as one of four finalists for 2017 South Australian of the Year.